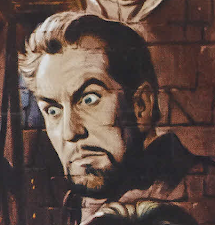 I was fortunate to have Sara Waugh share part of her magnificent Vincent Price collection with me recently, and she graciously agreed to let me share it here as well. Sara, btw, is cousin to Robert Taylor, who shared a series of Vincent memorabilia here a couple years back for the Vincentennial celebration. She has quite the collection of original memorabilia from Price films too. The debut episode of my new online series is now live - Episode 1 of The Fantastic Films of Vincent Price - where I'm taking a chronological look at every film of Vincent Price's long career, starting with his first - Service de Luxe, in 1938. Along the way I'll touch on them all, and spotlight his horror, fantasy, sic-fi, and mystery films. Should be a fun trip - hope you'll join me! For FREE COMIC BOOK DAY my director Cameron McCasland and I dropped by Rick's Comic City, in Donelson, TN. The place was packed and we shot a little footage asking folks what comic book they'd most like to see made into a movie. Their answers were pretty interesting! The 25th annual Wonderfest http://wonderfest.com/ convention took place this past weekend, May 31st-June 1st, and I’m happy to report it was a rousing good time! Held annually in Louisville, KY, Wonderfest is THE premiere hobby expo in the country, with a main emphasis on model making. A giant ballroom is filled each year with hand-built models, from both kits and of the custom variety, all beautifully crafted and meticulously painted. These are entered into a huge contest with prizes in a number of categories and divisions. Top prize wins the MOST AMAZING MODEL award - sponsored appropriately enough by AMAZING FIGURE MODELER MAGAZINE http://www.amazingmodeler.com/ - and a cash prize of $300! Includes all categories listed above; for modelers age 13-19. Includes all categories listed above; for modelers age 12 and under. 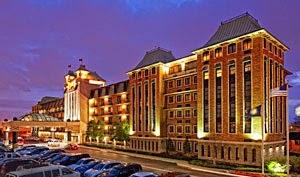 Wonderfest began in 1990 as a little show in a single room with no guests, and has since grown like the blob into a massive event that completely fills the Crowne Plaza Hotel (formerly the Executive West Hotel), packed with vendors, guests, artists and attendees. It is usually held over Memorial Day weekend, but this year’s show moved back a week to the first weekend in June. Wonderfest has traditionally brought in a variety of guests from the makeup and special effects field, and this year was no exception. This actually makes a lot of sense when you consider special effects and models go hand-in-hand, dating back to the time-honored tradition of stop-motion pioneers like Willis O’Brien and Ray Harryhausen (a guest in 1996 and 2003). I arrived Saturday morning and made my way to my table in Dealer’s Room B – the show has grown so much in recent years that a second dealer’s room has been set up for many artists and vendors. Throughout the day I enjoyed chatting with old friends and fans that I haven’t seen in years, especially as I didn’t make the show in 2013. That was an especially rough year for me and I took some time off for personal reasons and to kind of regroup a bit. But it was good to be back and see familiar faces and new ones alike. My Director Cameron McCasland and his fiancee Jamie Easterland joined us later in the day, too, and spent a good deal of time at the table as well, giving my son Luke and I a chance to roam the convention somewhat. David Colton, organizer of the annual Rondo Awards, stopped by the table and asked if I would speak on behalf of Penny Dreadful and Garou at the awards ceremony. Garou was given a special Rondo Award this year, the PURE OF HEART AWARD, and I was honored to say a few words on their behalf. For those who may have missed the news, Garou was the sidekick of horror host Penny Dreadful and her real-life husband, Magoo Gelehrter. He unfortunately passed away earlier this year of cancer, at the too-young age of 51. Everybody who ever met Magoo, or his alter-ego Garou, loved the guy, and it was a real blow to the horror community to lose someone so kind and genuine. After the awards I caught the premiere screening of Robert Tinnel’s new documentary THAT $#!% WILL ROT YOUR BRAIN. 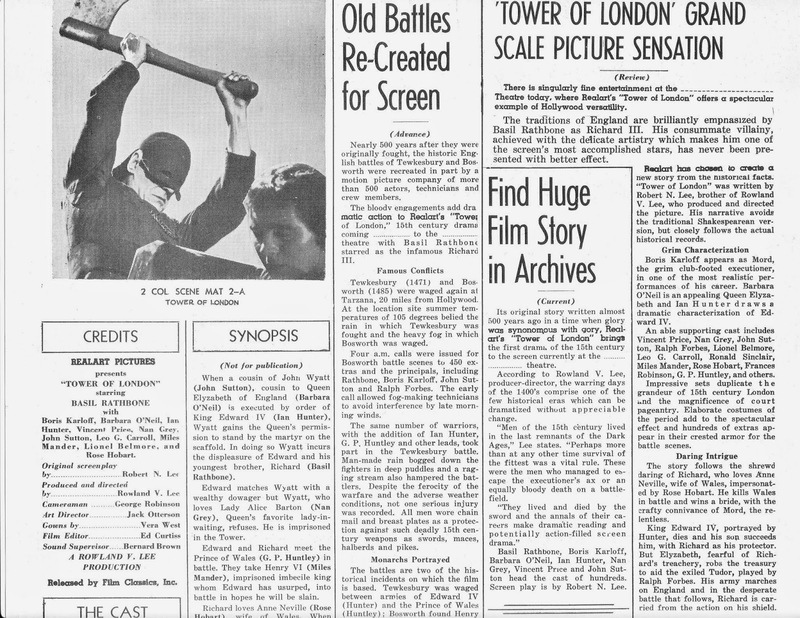 It traces the history of the monster-kid explosion of memorabilia and merchandising that flooded the market in the 60s and 70s, focusing on the magazines, toys, and movies that shaped the impressionable young minds of generations of kids (many of who were in attendance in that packed theater). It's chock full of interviewees that include many famous faces talking about their love of horror movies and memorabilia. 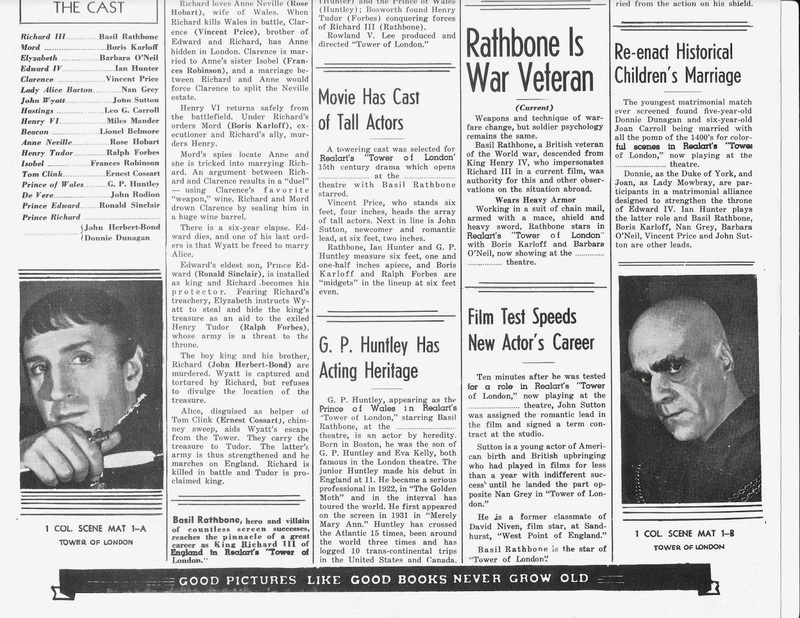 Robert spoke briefly before the film, and explained that it was still very much a work in progress, but he and his team of editors and fellow filmmakers needed some fresh perspective on it. The crowd loved it, despite it very much being a work-print, with black slugs in place where video clips would be inserted, and an unfinished third act to the film. Once it is completed, edited, and polished this is going to be one amazing documentary, and I’m glad Robert allowed the folks at Wonderfest to see it. As mentioned before, I didn’t attend Wonderfest in 2013, so there was no show that year, and in 2009 I missed because my oldest son was graduating from High school that same weekend. This year, however, the show was a GO!, and the evening’s fright flick was the 1973 classic schlockfest GODZILLA VS. MEGALON. I was fortunate enough to catch that one in the theater as a kid, and remember loving it back then. This time around was no exception. 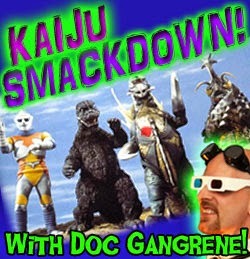 That is one fun film, and the convention billed the show as DR. GANGRENE’S KAIJU SMACKDOWN! Perfect! 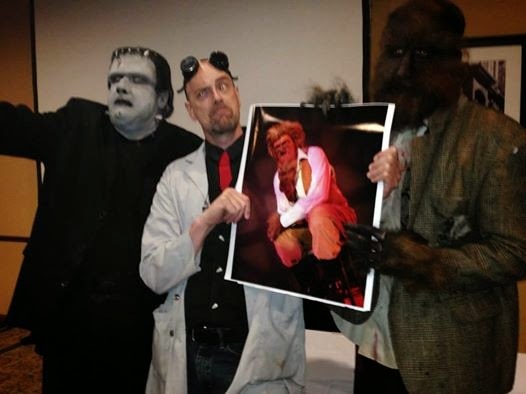 We dedicated the show to Garou right before having the crowd recite the mandatory Dr. Gangrene’s Horror Movie Maniac Code of Horror. Every year I try to make the live shows something a little bit special, and this year I was thrilled to have John Goodwin and Beau Kealin to add to the festivities! John is a master makeup artist who works professionally in Hollywood on such shows as CSI as well as in feature-films like MEN IN BLACK and THE THING. He held a makeup exhibition earlier in the day where he had made up Beau Kealin as a Wolf Man. Beau is a Louisville resident, Wonderfest staff member, and Indy filmmaker, (and a helluva creative guy). 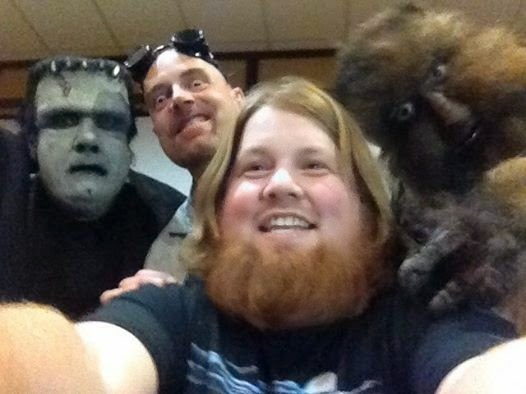 In addition to the Wolf Man makeup John also brought along a Frankenstein’s Monster makeup and made himself up too, as IGORSTEIN – the monster from FRANKENSTEIN VS THE WOLFMAN that has had Igor’s brain transplanted into it. 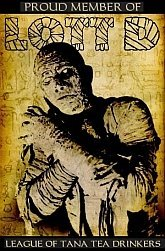 So just how exactly, you might ask, do two classic Universal monsters fit into a kaiju film? 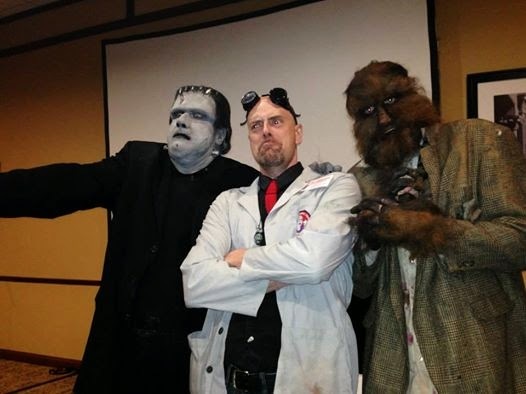 Well, I simply told the audience that this film was all about monsters fighting, and that while I didn’t have any beasts of the giant Japanese variety, Wonderfest is all about classic monsters, and I did have a special guest or two on hand. The theater was packed, and the crowd loved seeing these two classic monsters square off against one another. We also had some crowd participation sing-a-long, with a karaoke version of the Jet Jaguar theme song from the film, and I gave away DVDs and t-shirts – all in all it was a really fun show. I also want to thank a few folks in particular for allowing us to appear as guests again this year and for providing a stage to play on. First and foremost is the crew and staff of Wonderfest that work so hard all weekend long to make it run smoothly, especially CEO Dave Hodge, COO Melinda Angstrom, Guest Coordinator Beau Kealin, and Programming Director Dave Conover. 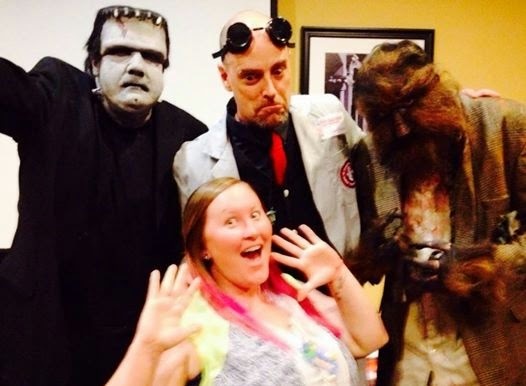 They are four of the nicest people you’ll ever meet, and Dave in particular has always gone above and beyond to make Doc Gangrene and company feel right at home. I have to give a gigantic Godzilla sized shout-out to the tech crew, which is always especially awesome. Over the years I’ve made life a little difficult for that crew with some complicated setups at the live shows - but every time, without fail, the tech crew came through and made it happen, and this year it was Robert Gilmore to the rescue, rounding up additional DVD players and sticking around personally throughout the show to ensure that everything went smoothly. Thanks again Robert! Beau Kealin and John Goodwin are both amazingly talented and so fun to work with. I remember my favorite show we ever did, The Tingler, John appeared as a fellow mad scientist named Dr. Princent Vice, and did a spot-on imitation of Vincent Price in the process! So much fun. We missed working with our good buddy Bob Burns, who has been a staple of the late shows since we started them. Here’s hoping he can make it back out some future shows. To everyone who stopped by the table and came to the late show – my Gangrenous thanks! You are all awesome. The very best part about going to shows like this is meeting all the great people and making lifelong friends. In that regard, mission accomplished. Superduper thanks to J. Sorrels for the hospitality and being such a great friend, and Cameron McCasland for being the best creative partner a guy could ask for. So here’s to Wonderfest and hopefully many more years of good times and monstrous movies! !